Let’s have a look at the method of” Forgot Your Apple Watch Passcode? 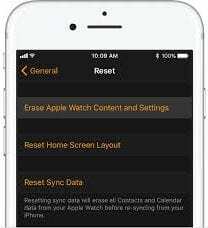 Here’s How to Bypass It Using Your iPhone or Watch” as this will be one of the best methods by which you can easily reset the passcode and get back into your apple watch. And you will not need to explore differnet working methods as we have mentioned the one that actually works. So have a look at the method by which you can easily implement this. Apple watch can be secured through putting the passcode such that only users knowing that passcode can access the inner functions and features. 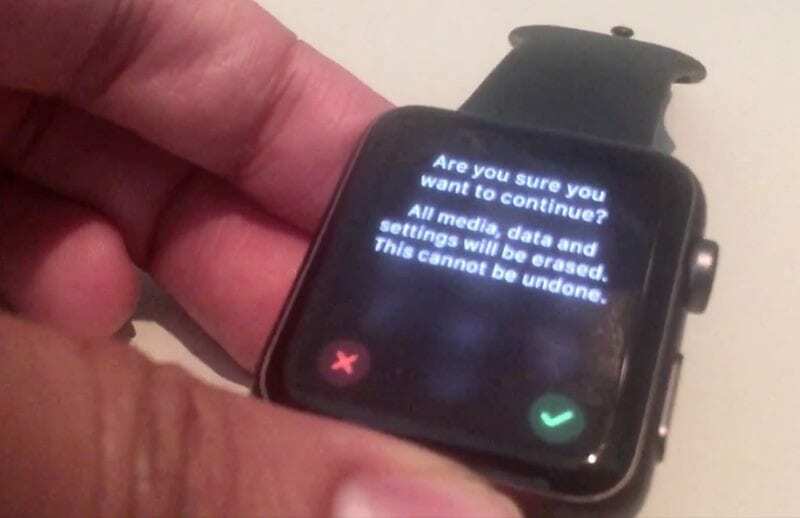 The data inside the watch could also be accessed if the device is unlocked. Now, some of the times the user of the watch could even lose or forget the password for the Apple Watch and hence get it difficult to get access to the watch. There is no such way out directly on the Apple watch that could help the user get out of the situation and gain the unlock facility to the watch. Fortunately, there is an easy way for the users through which they can unlock the Apple watch and hence get the access. Here in this article, we have written about the method through which the Apple Watch passcode can be bypassed by using the iPhone or just the Watch if you have forgotten it. If you are interested in reading about this information or find it helpful for your usage then please read it down. All of the proper information is provided in the main section of this post as is given below, remember to read till the end of the page so that you get the whole knowledge regarding the topic. So, let’s get started! Well, I have written lots of guides related to resetting the passcode of iPhone and other iOS device but now I thought of writing the guide on Apple watch passcode reset as I was receiving lots of queries relates to this as the user was trying different methods to perform this but most of the methods were getting failed. So I myself tested this on my friend’s apple watch. I got 4-5 different methods from the internet but some of them were really not working. So I got the one that actually worked and now I’m writing the guide on it below. Steps are very simple and easy and even a non-technical guy can easily implement this. So follow the step by step guide with the screenshots below. Step 1: This is quite simple to reset the Apple watch through the connected iPhone device. Just follow this first step and open up the Apple Watch app inside the iPhone device and then go to the My Tabinside the app. After that chose the General option inside that tab of the app. This General settings pane will be consisting of several options, just scroll down all and at the end will be an option named Reset. Simply tap on that option and this will process the Reset on the connected Apple Watch. Once the process has been started you need to check that the Watch must be closed as this could interfere with the other options of the Watch and the reset may not be regulated properly. Step 2: On clicking the Reset option you would reach to another page where there will be related options. Simply look after the “Erase Apple Watch Content and Settings” option and then click on it. After that click on the “Erase All Content and Settings” prompt message that appears on the screen and proceed to the next step. Step 3: There will be a number of popups confirming for various options and to proceed to the reset, just follow those up and select those accordingly to your choice. Make sure that you give the permission to reset the watch. Once all that is completely you would notice that the Apple watch will start to unpair and process the reset. Once the wiping of whole data is processed the watch will then start from all new and then begin to pair. Make the connection of your watch with the iPhone and that’s all! Your device will be unlocked and will perform better after the reset. Finally, after reading this article, you have got to know about the way to bypass the passcode of your Apple Watch by using the iPhone. All of the information given here is written in such a way that anyone can get about the important aspects easily. Hope that you might be liking the information given in this article if it is so then please try to share it with others too. Also, share your suggestions and opinions regarding this content by using the comments section below. Your indulgence in our work is really grateful to us, keep supporting us and we would be always coming up with all new amazing information. At last but nevertheless, thanks for reading this post! And if you have any topic in the mind that you want us to write then please share with us so that we can work on it for you.